A completely irresistible collection of gorgeous knitted clothes and accessories for toddlers. These patterns will give great delight both to the knitter and to all who see the results on their children. There are traditional sweaters and cardigans as well as more funky patterns for hooded tops and funky hats. 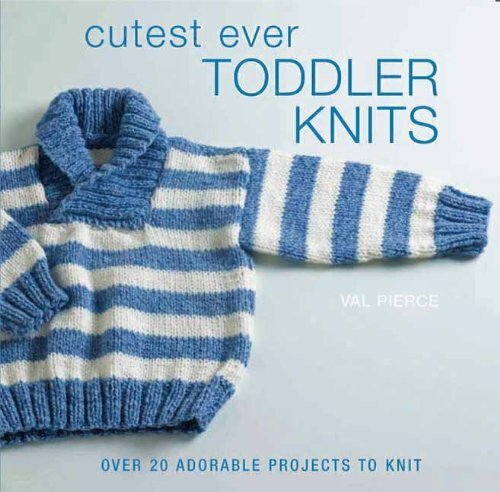 Although most of the projects are suitable for beginners there are some that use more complex techniques and include motifs in bright colors to appeal to any fashion-conscious toddler. Created with children from 18 months to 4 years old in mind, these will make fabulous gifts for favorite little loved ones.